The Light effect of our Wearable Iron Man Mark 47 Armor in (Spider Man Homecoming) & Iron Man Mark 46 Armor in (Captain America Civil War)! 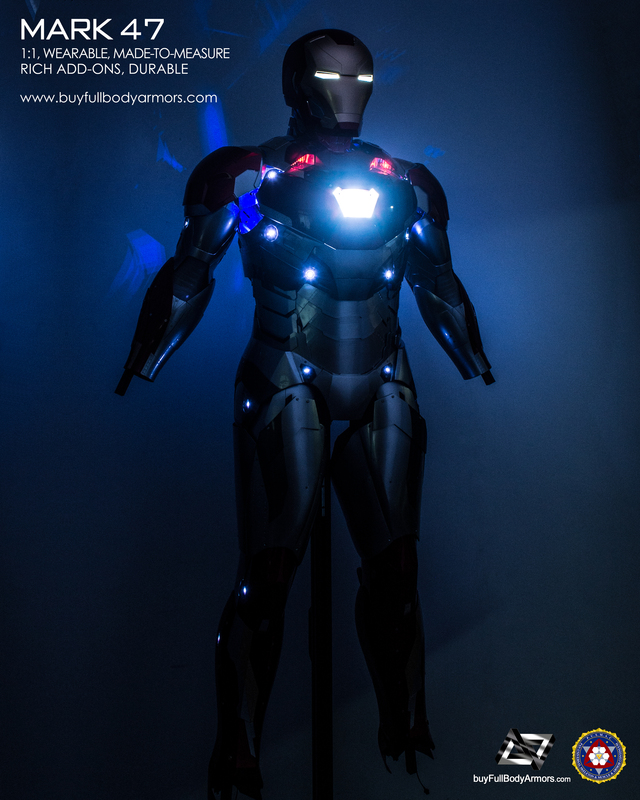 Our Ultra-realistic Iron Man Mark 47 Cotume has equipped with brand new electronic conponents that enable to produce a much brighter and cooler! Bringing the visual effect of the film into the real life! And when you are in darkness, these lights will also make sure that you are the focus of every party you walk into! 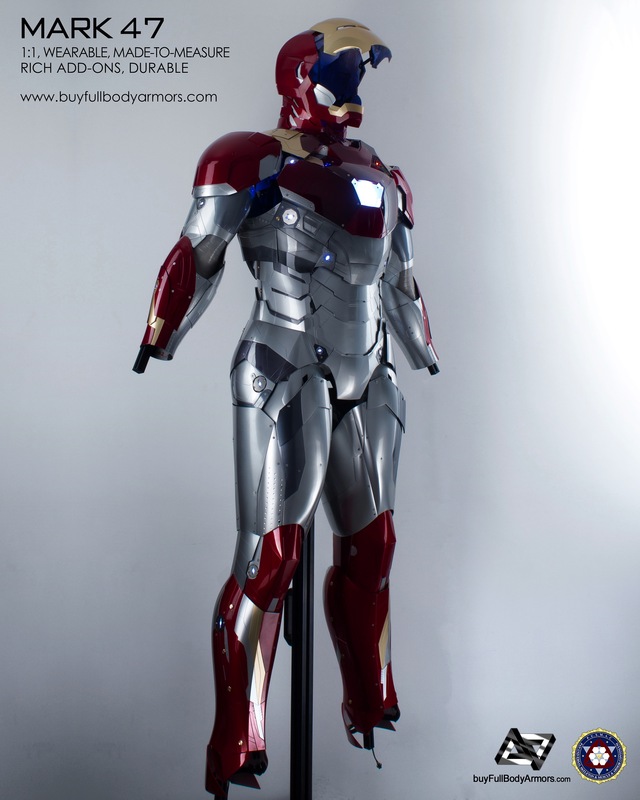 The Iron Man Mark 47 suit is now taking order in our website! Go check it out! This entry was posted in News,Iron Man Suit Mark 46 XLVI Wearable Armor Costume R&D Milestones,Iron Man Suit Mark 46 XLVI Wearable Armor Costume R&D Full History,Iron Man Suit Mark 47 XLVII Wearable Armor Costume R&D Milestones,Iron Man Suit Mark 47 XLVII Wearable Armor Costume R&D Full History and tagged on Jan 03,2018.